Canadians are a tech-savvy bunch, according to the latest Internet and technology-related data from Statistics Canada. 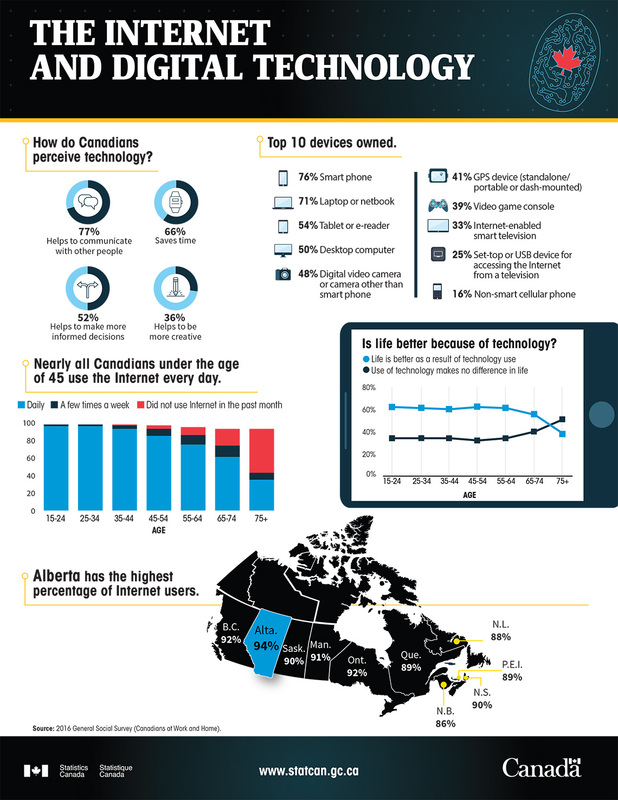 In an infographic released on Nov. 14, the agency revealed just how many Canadians own a smartphone (76 per cent), how they use it (77 per cent say it helps them communicate with other people), and what they think of it. Unsurprisingly, the older Canadians get, the less likely they are to think life is better thanks to technology. Check out the infographic below (click for a larger version).